First part has cetyl stearyl alcohol,ceteareth, mineral oil, olive oil, isopropyl myristate and etc. Second part contains monopropylene glycol, glycerine, peg 7 glyceryl cocoate, deinozied water, tetrasodium edta and etc. Third part covers preservative agent, fragrance, herbal oils as active, caprilic capric triglyceride and etc. Production of herbal multi - purpose day cream is not very complicated. For the production, there is need usable and tried a formulation, raw materials and mixing tank. For raw materials to be used, quantities to be used and ingredients usage rankings, you should decide to look into this formulation. Therefore, formulation and productıon methods of Herbal multi purpose day cream are important. If you have not a good formulation, you cannot make healthy and efficient production of any Herbal creams and lotions. This encyclopedia cover herbal facial cream making, herbal face lotion formulations, herbal acne cream naking, herbal acne foam and maskformula, herbal anti wrinkle cream production,herbal cold lotion and herbal soft cream making,herbal cosmetic personel care formulation, herbal beautiful care products making, herbal skin care products manufacturing, herbal body skin careand cleansing products composition, herbal anti aging cream and lotion formulations, ozonated cream and lotion compounds, herbal stem cell cream and lotion formulas, herbal nourishing cream formulations, herbal skin moisturising cream production, herbal exfoliating cream formulas, herbal hydrating lotion composition, herbal cleasing lotion how to make, herbal night creamsproduction process, herbal skin restorative cream formulations, herbal cellular cream composition, herbal body oils manufacturing process, herbal massage oilformulations, herbal foot cream production, herbal hand cream compositions, herbal body milk formulations, herbal bath foam production, herbal bath gel formulations,herbal bath care manufacturing process, herbal face mask formula, herbal body mask productions, herbal body massage lotion making, herbal hair shampooformulations, herbal hair conditioner making, herbal anti dandruff shampooproductions, herbal hair shampoo hair loss making, herbal shampoo sulfate freemanufacturing, herbal hair moisturizing shampoo how to make, herbal hair maskproduction process, herbal hair wax making, herbal hair mask formula, herbal hair lotion composition, herbal hair care serum production process, herbal soapsformulations, herbal natural soap production process, herbal glycerine soap how to make, meltable glycerin soap manufacturing process, melt and pour soapformulations, meltable soap base production process, clear meltable soapmanufacturing process, white melt and pour soap base formulations. 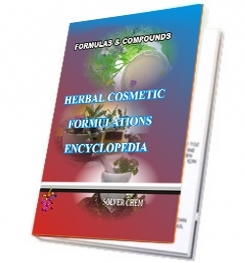 All Herbal Cosmetic Care Products in the encyclopedia are producible easily. You need no help and no technıcal support. The encyclopedia is enough to produce Herbal Cosmetics itself. is written clear and understandable.